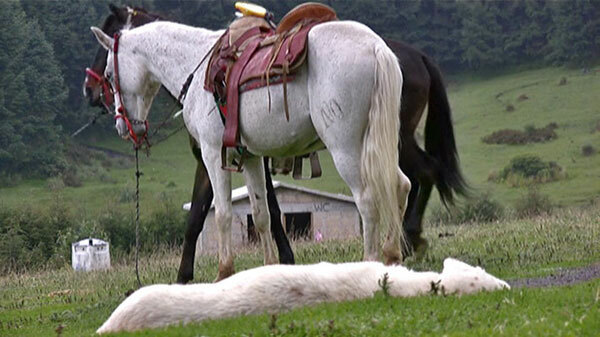 In Horsedog a white horse appears above a white dog as if standing on top of it . Sometimes the dog is on the lookout – but nothing happens. 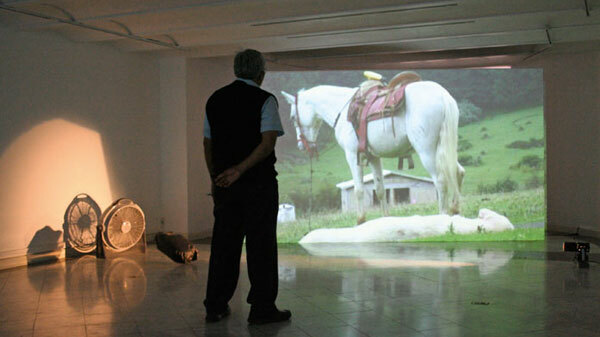 After a minute a black horse appears behind the white horse – and and dissapears http://deutsche-edpharm.com/cialis/ before reaching the borders of the image. The dog doesn‘t notice it. In front of the projection from time to time a plastic bag is driven by air to fly while it‘s illuminated by a spotlight.